This week we highlight two former Pandora Predictions who have made their way on to our Trendsetters chart! 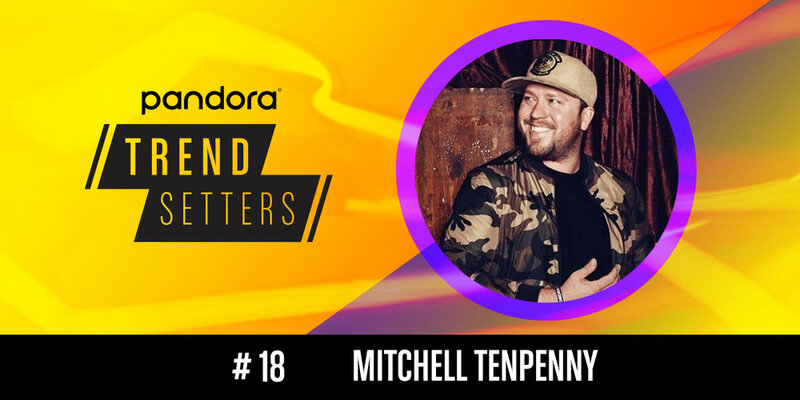 Check out Summer Walker and Mitchell Tenpenny on Pandora today! It may be fall, but Summer is just heating up. R&B singer Summer Walker rises up two spots this week after releasing her debut album, Last Day of Summer. The Atlanta native, who debuted on the Predictions Chart in September after the success of her single "Girls Need Love," has seen a 250% increase in artist station adds and a 250% increase in streams month-on-month on Pandora. Just as we predicted, Mitchell Tenpenny is proving to be one of the most promising up-and-comers in country music. After he debuted on the Pandora Predictions Chart in May and his breakout single "Drunk Girl" hit #36 of the Top Spins Chart, the Nashville-born singer makes his Trendsetters debut this week as he gears up for the release of his major label debut album, Telling All My Secrets, in December. He most recently saw close to 1,900 weekly artist station adds on Pandora. Newer Post'Tis (Almost) the Season! Holiday Audio Message Scripts are here!